researching is all about exploring knowledge…. for all academic research work you can count on us for the best. The email came in shortly after 1 a.m. on a Tuesday during spring break. It was the first semester of my new experimental class, “Participatory Journalism,” and we were facing our first real ethics test. The assignment paired each student with a city official for a ride-along, including police officers, firefighters, water treatment supervisors and even the mayor. The goal was to teach narrative storytelling by having students spend a day in the life of these officials and produce a piece of journalism based on the experience. It was all part of an attempt to get students to go beyond the traditional bounds of objectivity, to immerse themselves in the story in search of greater truths. But when I created the class, complete with a Habitat for Humanity build, eco-kayaking trip and virtual reality texting-while-driving simulator, I knew we were going to face some ethical challenges. During her ride-along, this student thought she witnessed several incidents of racial profiling. Throughout her email, she wavered between her interpretation of the events and her own bias and ignorance of official procedures. Was what she saw really what it appeared to be, or did she just misunderstand? Then, the kicker: She said she didn’t want to portray the official in a bad light because she was grateful for the experience, but she also did not want her concerns to go unchecked. “What should I do?” she asked. Beginning journalism students need rules. Short paragraphs and ledes, inverted pyramid structure and AP style are all good guidelines for breaking down preconceived notions about writing that haunt students from their Thesaurus-driven English essay days. They also need conceptual rules explaining how and why journalism is not “just another job,” that news organizations have obligations to rise above most profit-hungry business models to serve their communities. Rules outlining conflicts of interest, balance and an array of unique ethical issues need to be embedded alongside lessons on basic story structure. During my first years teaching journalism at a university, I stressed the importance of objectivity. I carefully coached my students not to get involved with their stories or too close to their sources for fear of compromising their journalistic integrity. I emphasized detachment, encouraging them to become observers of human behavior rather than participants in the experience. 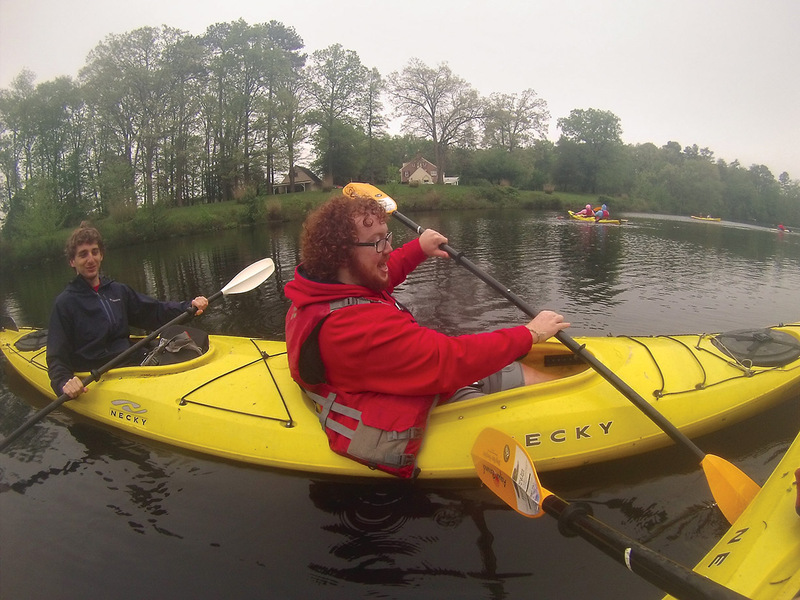 Salisbury University students embarked on an eco-kayaking trip with their cameras to take part in a photo elicitation project. I still work as a freelance journalist, and the type of immersive feature packages I often do directly contradicted the lessons I was teaching. I often relate an experience to my audience by becoming a part of it myself. Whether it’s writing about child surfers by paddling alongside them in the waves or producing a video package about wine-making as I go through the process with my sources, my involvement can often enhance the story by adding color and a sense of truth obtained only by putting yourself in someone else’s shoes. I wondered what a class that bends the rules of objectivity would look like. What could we accomplish? What issues would we face? I set out to create an experimental class to explore the principles of immersive journalism. This type of reporting comes with a unique set of ethical challenges. By experiencing a news event alongside their sources, immersive journalists dispense with boundaries urging them not to become part of the story. But immersive journalists are still charged with serving up news that is unbiased and free of influence from outside sources. So the question becomes: How do immersive journalists maintain their commitment to journalism ethics while becoming part of the story? First, it’s important to examine the value of the immersive experience. As passive observers, journalists can only uncover a certain degree of the truth. They can use interviews to explain a source’s perspective, but until they have experienced it for themselves, reporters cannot really know for sure whether the source’s portrayal is accurate or whether their own retelling will do justice to the story. “Because we are human beings, journalists can learn things in other ways, such as experience; not just the five W’s, but the five senses,” Conover told me. 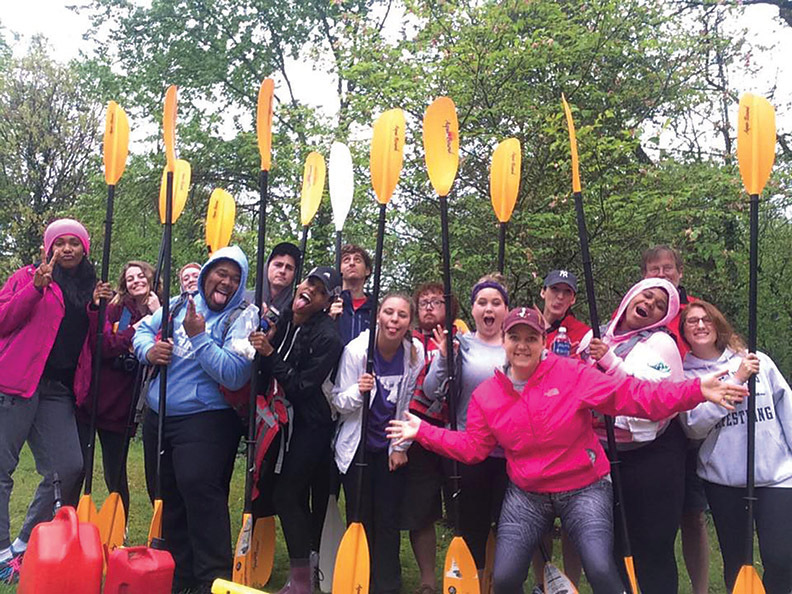 “It seems silly not to take advantage of that way of learning when it comes to reporting, and so I’ve always seen participation not just as an adjunct way of learning but as a core way that we can learn. The benefit of engaging with sources at that level might not always be worthwhile if it comes at the cost of ethics. Immersive journalists are susceptible to ethical blunders on both ends of the scale, from those who might turn a blind eye to a source’s misbehavior to those who betray a source by failing to recognize when a private moment is not appropriate for publication. There is a reason ethics are not enforceable by law: They are subject to interpretation and rife with gray areas, forcing us to consider each case circumstantially. What is negotiable for one story may not be for another, and adding the challenge of an immersive approach only complicates matters. The Society of Professional Journalists carefully crafted four tenets of journalism ethics, each containing guidelines for reporters’ behavior that are generally agreed upon by news organizations aiming to be professional and credible. Immersive journalism bends many of these rules, creating situations that the average passive reporter does not have to contend with. But within each of these tenets, flexibility may be appropriate to allow the journalist a deeper insight into the story with the potential of getting closer to the truth. Appearing first in the SPJ Code of Ethics, “Seek Truth and Report It” is the most detailed tenet, containing 18 bullet points dictating journalists’ behavior. It is arguably the most important, and it can both justify and trouble immersive journalists. Under this tenet, reporters are urged to “Label advocacy and commentary.” But before we can label it, we have to be able to recognize it. As my immersive journalism students set out to help build a home for Habitat for Humanity, I wrestled with the implications of the assignment. Few could accuse journalists of problematic bias toward philanthropic organizations, even if their stories turned out to be a bit promotional. Civic and public journalism enthusiasts have gone so far as to say journalists should become active members of their communities, promoting its success and unity. But how could we cover this experience without becoming advocates and inserting our own opinions into the narrative? Rather than parachuting in with a heartwarming puff piece, journalists can use their immersive experience as a jumping off point to really convey the impact of an issue on the community, adding value to a story that otherwise might have been relegated to a midweek inside page of the newspaper or feel-good feature at the end of a newscast. Several SPJ ethics code principles of seeking truth and reporting it could even be seen as encouraging immersive journalism. “Avoid stereotyping,” “Boldly tell the story of the diversity and magnitude of the human experience” and “Provide context” all suggest reporters go beyond the basic collection of facts and figures to tell fuller, richer stories about the human experience. The concept of objectivity suggests reporters remove their personal biases from their stories, but some journalists have begun to question its feasibility. Former Marketplace reporter Lewis Wallace was fired earlier this year, allegedly for violating the program’s objectivity and neutrality standards. Many in academia agree. In their oft-updated text, “Mediating the Message: Theories of Influences on Mass Media Content,” researchers Pamela J. Shoemaker and Stephen D. Reese argue that as human beings, it is impossible for reporters to remove themselves from the story. From biological characteristics, such as gender and race, to social influences, such as education, religious beliefs and parental upbringing, journalists cannot divorce themselves from their own process of forming opinions. But by engaging with those whose backgrounds are different from their own, Conover argues, journalists can add context and diverse voices through an immersive experience. In his “Immersion” book, Conover points to many anecdotes in which his sources have been unintentionally hurt as a result of his immersive reporting. It might be the inclusion of a small detail — noting how a source limps when describing him — to something much more problematic, like when a young subject forgets his company and begins dropping racial slurs into casual conversation. The problem, he says, is the blurred perception of roles. “I think probably the single biggest challenge is the tendency toward friendship,” he said. “If their subject is letting them spend a lot of time together, the subject may mistake the journalist’s interest as friendship, and the journalist might, too, if he or she is not sophisticated or paying attention or well prepared. The “Minimize Harm” doctrine urges journalists to be sensitive toward our sources’ privacy and comfort levels. Immersive journalism can help reporters uncover what is really going on in someone’s life, but that doesn’t mean every facet of that experience needs to be included. By getting involved in the story, we run the risk of forgetting how the publication of certain information we have witnessed — even though we have access to it — could be harmful. As journalists, we crave oddities and anecdotes. We’re trained to look for them and use them to produce a good story people want to read, see or hear. But getting close to a source through immersive journalism may mean we have to swallow those impulses and sacrifice a juicy tidbit we are often inclined to include. When covering a family riddled with stress and sickness early in my career, I was invited into their home to be part of the experience with them. They were willing to show me the good, bad and ugly side of dealing with disease and a lifetime of uncertainty. One afternoon, a family member shakily lit a cigarette and began to smoke. About halfway through, she turned to me and said, “Please don’t put this in the article. I don’t usually smoke.” It would have been a great illustration of the stress and dealing with pain, but I honored her wishes without hesitation. I could tell their story without it. Conover said that making these choices is easier when you are clear about your role and forthcoming about your concerns. Even though we want sources to act naturally and even forget you are there, it is important to regularly remind people that your status is different. Keeping your notebook or camera out at all times and asking tough questions about what you witness can help mitigate a source’s expectations for when your work is published. I had a once-in-a-lifetime opportunity to do a piece of immersive journalism that I had to decline. Jupiter, Florida, is a small, affluent town that is home to an unusual migration of lemon sharks at the same time and place each year. A local scuba company offered to certify me for free and supply me with the equipment and a tour so I could do a story. Unfortunately, the small bi-weekly newspaper I worked at could not cover the actual cost, so I had to decline. It was the right call, but not being able to do that story still nags at me. Sources are often inclined to offer freebies to immersive journalists. A free surfing lesson, a discount on dinner, a ticket to a show — it all seems harmless enough, especially when you need what is being offered in order to do the story. But because of the already blurred lines of an immersive experience, it is even more important that journalists decline favors, avoid conflicts of interest and resist info-tising. When a source offers something, even as a friendly gesture, they are pushing the boundaries of the reporter-source relationship. Whether they realize it or not, the source expects a sort of quid pro quo in exchange for the openness and hospitality they showed just in allowing you to immerse. Adding a tangible gift only enhances those expectations. Conover calls transparency “the new objectivity.” Immersive journalists can use it to describe their reporting process, adding credibility to the piece and allowing the audience valuable insight into the reporting process. But it is not a license for unrestrained bias. Disclosing conflicts of interest does not give us free reign to advocate for our friends or adjust our stories to highlight our own causes. Transparency simply acknowledges that a completely objective perspective is not possible. Whenever I ask students to get into groups for discussions, they always choose the people around them. Usually, these are people who were already their friends, or else they would not have chosen seats together in the first place. To teach them about objectivity, I asked them to look at the group they picked. Was their choice objective, free from personal motive? Of course not. I ask them to try again, but this time, we would use an objective method for dividing up into three groups: those who love green olives, those who hate them and those who are indifferent toward them. The class divided into three completely different groups based on a shared opinion that had absolutely nothing to do with the class discussion. Is that sort of objectivity attainable in reporting? No, they agreed. As human beings prone to individual and environmental influences, we have to accept that we cannot put our brain on hold while reporting a story. 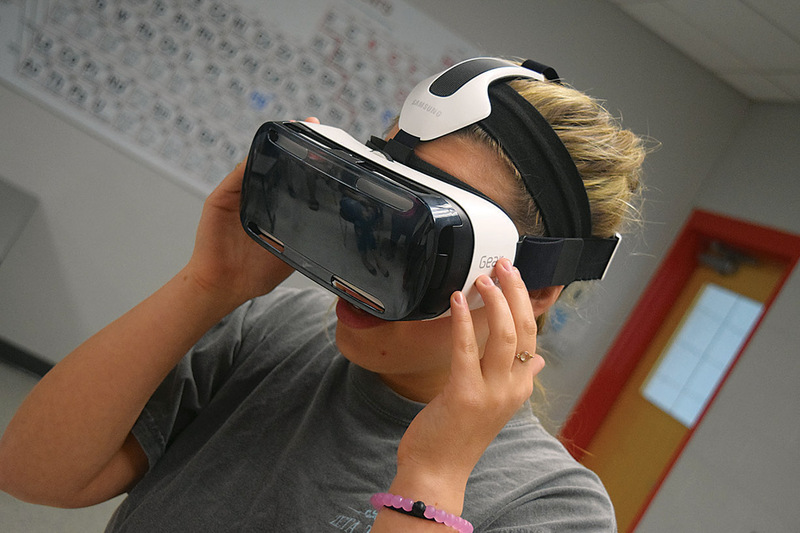 Immersive journalism experiences that encourage those involved to share real insight about what they are seeing and how they came to see it in a particular way can help audiences better understand the event, the characters and even the storyteller. No matter how they feel about portrayals in the story, the process is clear because the reporter will have witnessed it, thoroughly described it and shared it in a meaningful way. Because my student’s police ride-along spanned only one night, I urged her to gather more information. What possible explanations could there have been? I encouraged her to speak with the officer about her concerns and seek clarification, perhaps even go on another ride-along and see what happens. Giving it more thought, she concluded she was probably overreacting, and it was no big deal. Was her change of heart the result of real reflection or out of fear of confrontation? I’ll never know. I was disappointed, but I understood. This was uncharted territory for my students, and it’s something that may have troubled many more-experienced journalists. This teachable moment illustrates two important points. First, immersion journalism is not for everyone. It takes a special kind of reporter to dive deep into a story, become part of it, then re-emerge and tell it in a way that does justice to the experience while maintaining journalistic integrity. A willingness to engage on a level sometimes discouraged due to the boundaries of journalism ethics takes stamina, clear-headedness and guts. The second is this: Journalism ethics exist to protect everyone involved in the story: journalists, news outlets, sources and subject, and the entire public. The SPJ Code of Ethics gives us plenty of reasons why we should not get involved in our stories or with our sources, but it also tells us why we should. Providing context, reducing harm, promoting vigilance and accuracy: These are all results of immersive journalism, not the obstacles to doing it. Posted on March 29, 2019 Leave a comment on Time to Abandon the Aversion to Immersion Journalism? Are you a writer, poet or a free lancer do you have what it takes to be a world class writer? then you are on the right track as Timz concept is giving you a mind blowing opportunity to display your skills of article writing, story all editorial write ups on its free publication splash.